This marvellous 47 meter Ketch combines the traditional sailing experience with luxury and modern technology. 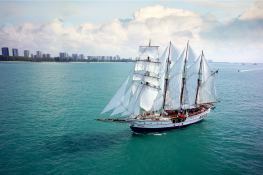 Originally built in 2001 in Charleston USA, she started her life as Windy II in Chicago, cruising the Great Lakes. 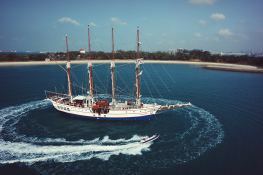 She was purchased in 2008 and relocated in the tropical waters of South East Asia. 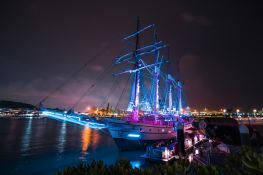 She was redesigned and refit from 2009 to 2014 to meet Singapore’s stringent safety requirements and our equatorial climate and upgraded into a unique yacht, including a new rig with 22 sails. 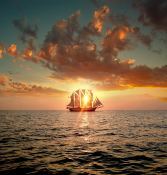 She can offer day charter in Singpore for 149 people. This crewed sailing yacht is available for yacht charter with a base price of 185 000 € (approximatly 208 634 $).